Black Carousel: Ηere, take a look at our favourite appearances of 2014 iHeartRadio Music Awards! 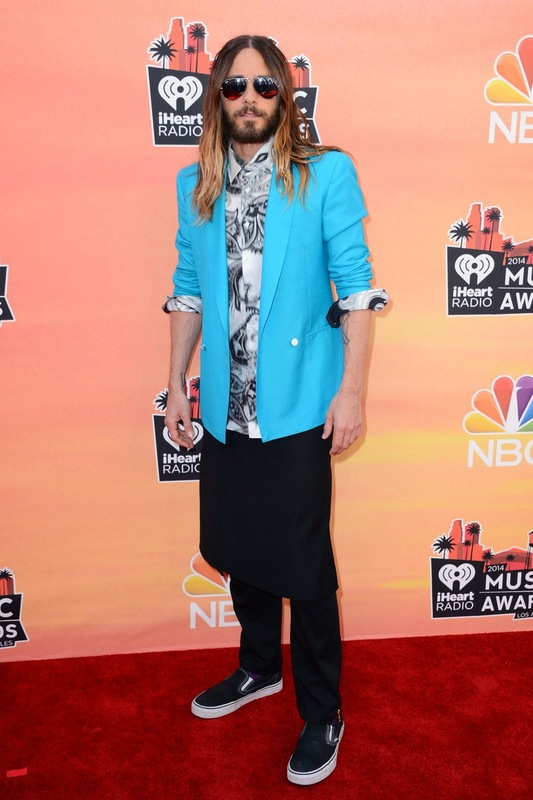 Ηere, take a look at our favourite appearances of 2014 iHeartRadio Music Awards! Shakira looks so cute in this black and white outfit! We love Jared's Leto blue jacket. J.Lo & Rihanna havin' fun! Gwen Stefani, two months since she gave birth to her latest baby and she looks gorgeous! Selena, she looks really classy in this minimal outfit. Αναρτήθηκε από Black Carousel στις 4:00 μ.μ. Black Carousel's first #GIVEAWAY !!! Jon's Hamm Vanity Fair Cover June 2014. 11 Inspiring Outfits For May. We Love: Barbara Bui | Pre-Fall 2014 Collection. Scarlet Johansson on Vanity Fair Cover. Do You Know The History Of Trenchcoats? New Valentino Kiss Eyewer! What else do you need for this summer? Prepare your clicking finger to order the limited-edition makeup when it drops June 5! Vamp is IN!